Widely tipped to take out the internationally esteemed Tarawera Ultramarathon 100km event, Sweden’s Jonas Buud didn’t have it all his own way, battling it out over two thirds of the distance with Australia’s David Byrne. Forty-one year old Buud, 100km world champion, eventually broke the bungy cord between the two just before the 60km mark and charged home to take the 2016 title at the finish line in Kawerau in a time of 08:00:53. Byrne, 35 years, finished second in 08:22:39. Ryan Sandes from South Africa completed the podium in a time of 08:30:40. Japan’s Yoshikazu Hara finished fourth in 08:40:17, with New Zealand’s Vajin Armstrong the first Kiwi home in a time of 08:46:12. Meanwhile, Wellington’s Fiona Hayvice claimed first place in the women’s 100km event, after race favourite Ruby Muir pulled out at the 76km mark due to stomach issues. Hayvice also won the Tarawera 50km Marathon in November last year. Muir, from Hawke’s Bay, had led the field from the outset until her withdrawal from the race. Hayvice won the event in a time of 10:34:26. Australia’s Melissa Robertson came second in 10:56:20, with New Zealander Fiona Eagles taking third in 11.24.57. The men’s first and second spent much of the race together, with just seconds between them at several of the key aid stations, including Lake Okataina (39.4km), Humphries Bay (49.2km) and the Tarawera Outlet (57km). Buud finally put a gap on Byrne and never looked back. Buud says the morning’s rain was a help in the first half of the race, but the humid conditions in the second half made for it being “a bit warm”. Byrne says he is thrilled to have run so well in his first ever 100km event, but he was completely demoralised by Buud who “looked like he was just jogging, and then took off”. Third place Sandes says he’s happy to take the last spot on the podium. Hayvice says she couldn’t be happier to take the win. Hayvice says she found the first part of the race “actually quite lonely” due to the new course and its big climbs which threw the field open. 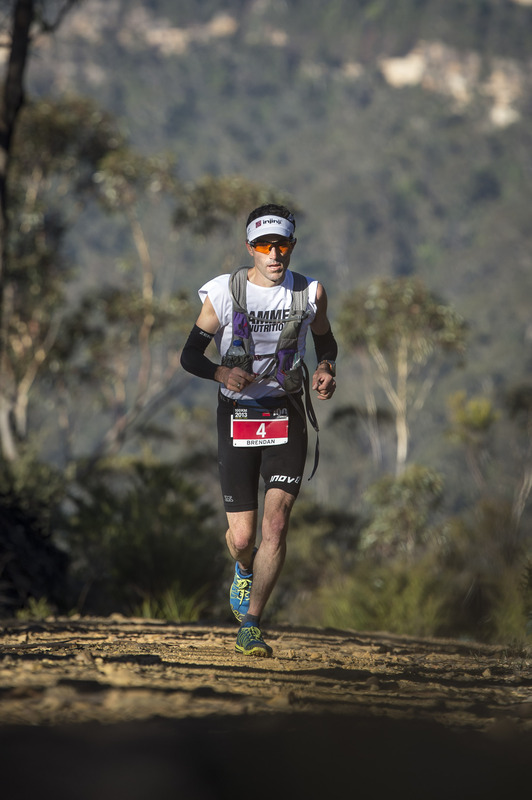 New Zealand’s Vajin Armstrong finished fifth, claiming a new record for finishing in the top five placegetters for the sixth year in a row at the Tarawera Ultramarathon. Armstrong says he hadn’t intended running the event this year, after racing the Tarawera Ultra for the last five years, but once he saw the elite world champion field that was entered, he couldn’t resist. Due to course changes in for this year’s event, the actual course was 102.7km. Women’s results unavailable at time of distribution. It’s a quality field and the list of top men has incredible depth. For the purposes of a preview I am going to highlight who I consider to be the contenders for the top three slots and then give notable mentions to those who most certainly stand a chance to make the top ten and if on a great day, they may make the podium. Jonas Buud, Anton Krupicka, Julien Chorier, Miguel Heras, Timothy Olson, Jez Bragg, Sebastien Chaigneau, Mike Foote, Mike Wolfe, Carlos Sa, Dylan Bowman, Gary Robbins, Yoshikazu Hara, Francois Faivre, Tsuyoshi Kaburaki, Jean-Yves Rey and Arnaud Lejeune. 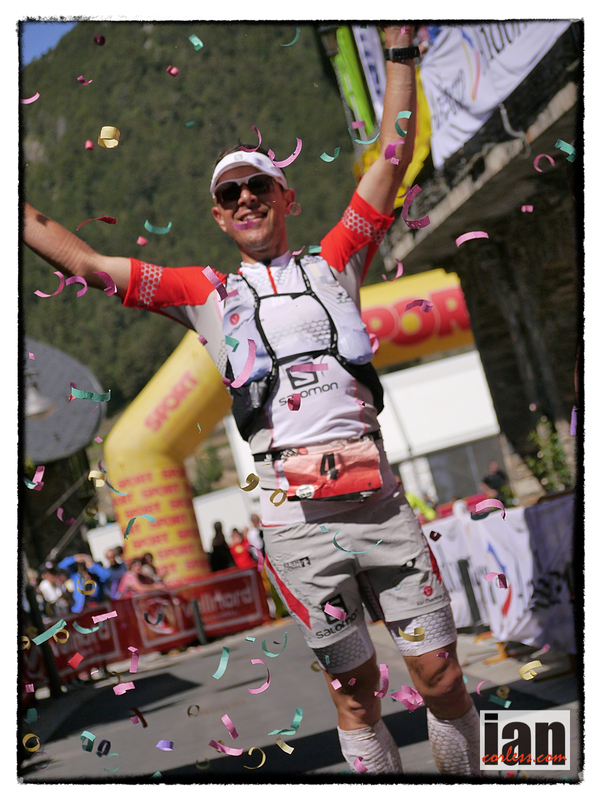 Jonas Buud placed second last year over the shortened UTMB route behind Francois D’Haene. It was a great run and a superb confidence boost for this year’s race. His recent run at Comrades when he moved up through the field from around 40th to the podium was not only an incredible lesson in pacing but also how to execute a great race strategy. I am pretty sure that this will be something he will bring to Chamonix. Without doubt he has speed but the full UTMB is a very different race to the shortened version and in this field a podium place will be a great result. What can we say about Anton Krupicka? 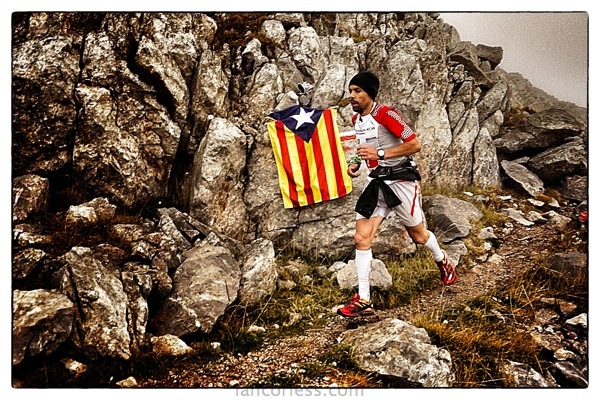 With a long time out of the sport due to injury, his return seemed guaranteed at the end of 2012 when he placed 2nd behind Kilian Jornet at Cavalls del Vent. We had hoped to see Anton run at Tarawera but just a week or so before the race he pulled out due to a niggle. Racing Ronda dels Cims was on the cards but he decided an attempt at Nolans-14 was a better option; it didn’t go well leaving him in pieces on the trail. One thing that is guaranteed is that Anton is fit and can climb. His recent 2nd placing at Speedgoat is going to be a great boost and he has been in and around Chamonix for several weeks now training with Joe Grant who will be his support during the race. It may be Anton’s year? Julien Chorier is meticulous in planning, knows the UTMB route very well and after watching him run and dominate the 2013 Ronda dels Cims, if he brings ‘that’ form to Chamonix, then he will win! He was consistent, strong and a machine. Julien has been on the podium at UTMB before, 2007 and 2008 but this was relatively early on in his run career (a former cyclist). 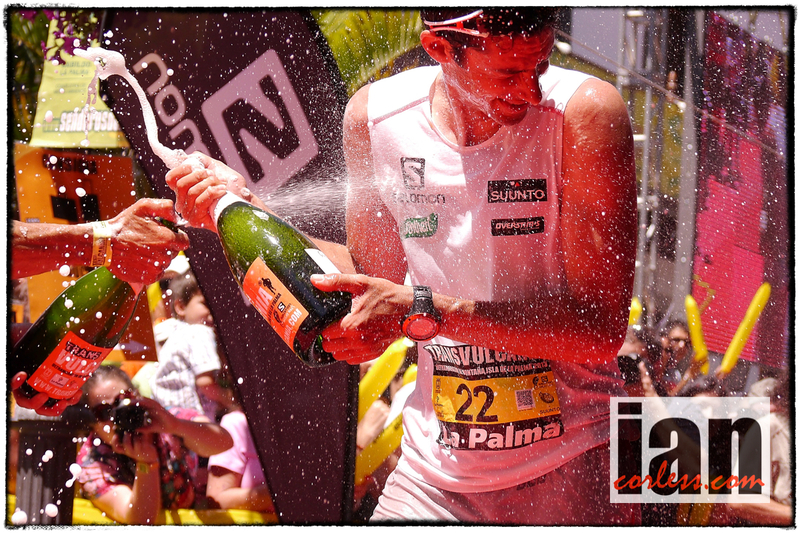 Since then he has won Hardrock, UTMF, Raid de la Reunion and so on. He will bring his ‘A’ game to UTMB with just one position in mind. A hot favorite! Miguel Heras has had a tough time recently with injury. 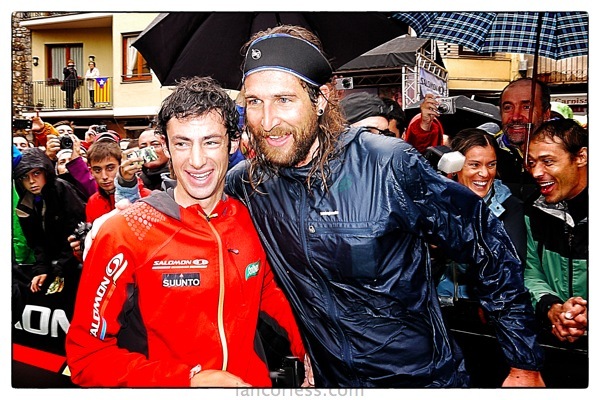 Running UTMB was a big question mark, however, I heard just the other day that he has confirmed he will run. His training has been hampered for sure and it is impossible to say at this stage, how that will affect his race. His most recent notable performances came in 2012 with La Templiers and San Fran 50. 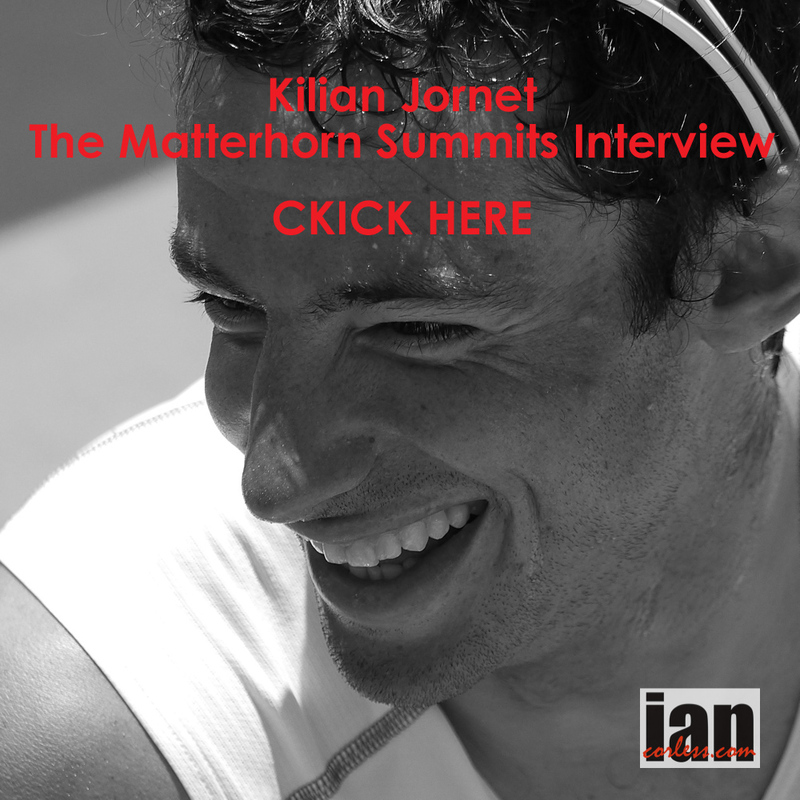 Like Julien Chorier, he is meticulous in planning and outside of Kilian Jornet; I would have said that an in form Miguel Heras would be the stand out favorite for this race along with Julien. A little like Julien Chorier, Timothy Olson picks his races, plans, trains, turns up and wins. Anyone who can win Western States two years on the run knows how to bring the ‘A’ game to the right race. Timothy placed well at Tarawera and Transvulcania but his notable words to me at the end of Transvulcania were, ‘it just needed to be longer, I was getting warmed up’. Racing at Speedgoat recently he placed in the top ten but that doesn’t reflect a lack of form, in fact the opposite, it shows focus; focus on the big target, which is now UTMB. He has been in Chamonix and getting out on the course and so will now fully understand what he needs to do come this Friday. Along with Anton, he is a key favorite for the outright win, the only thing I can see going against him is the lack of experience in a European 100-mile race particularly in the Mountains. Sebastien Chaigneau has already had an incredible year. His win at the recent Hardrock 100 in a course record time (counter clockwise) is a dream come true for Seb. He actually only got the go ahead for that race just a couple of weeks before as he was a reserve, so, I can’t help but think his long term training was for UTMB but also meticulously preparing for the hope to participate at Hardrock. 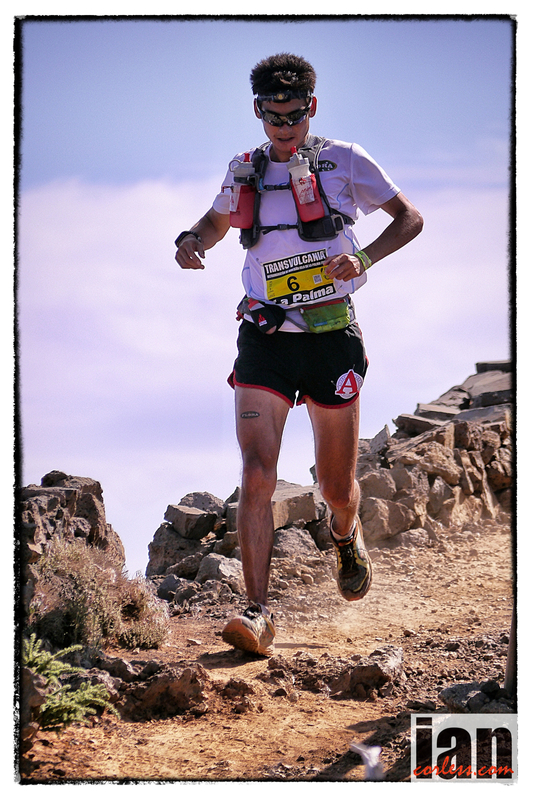 His early season win at Transgrancanaria and then 3rd place at UTMF will no doubt all take its toll. Seb has all the abilities and experience to win this 2013 edition, however, he may very well be just a touch jaded. Mike Foote placed third last year on the shortened course and by all accounts is in great shape and has been training really hard. However, he has been plagued by injury. His second place at Hardrock 100 in 2012 most certainly means that if he his 100% fit, he will mix it up at the front of the race and be in contention for the podium. Teammate and great friend of Mike Foote is Mike Wolfe. Mike had a year to forget in 2012 after an incredible 2011. He has loads of skill, great fitness and can run like the wind when he needs to. After some time away to recoup, Mike has now found some form and fitness in 2013. 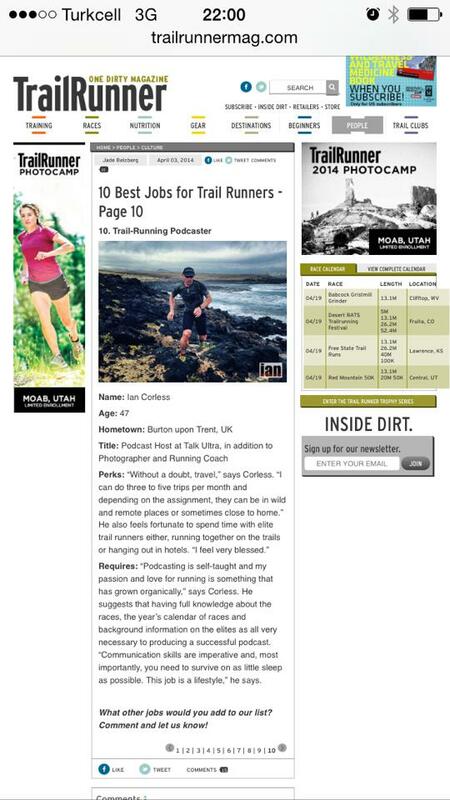 He had a win at Pocatello 50 and recently raced to a podium slot at Lavaredo Trail in Italy. Most recently he set a ‘FKT’ on the John Muir Trail with teammate, Hal Koerner. 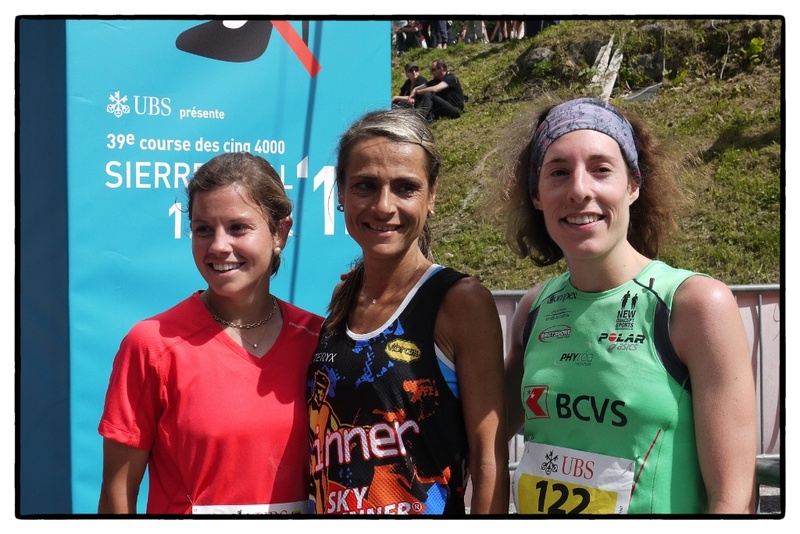 Now no doubt this was great training and great preparation for a 100-miles in the mountains, but, and this is a big but, was it too close to UTMB? 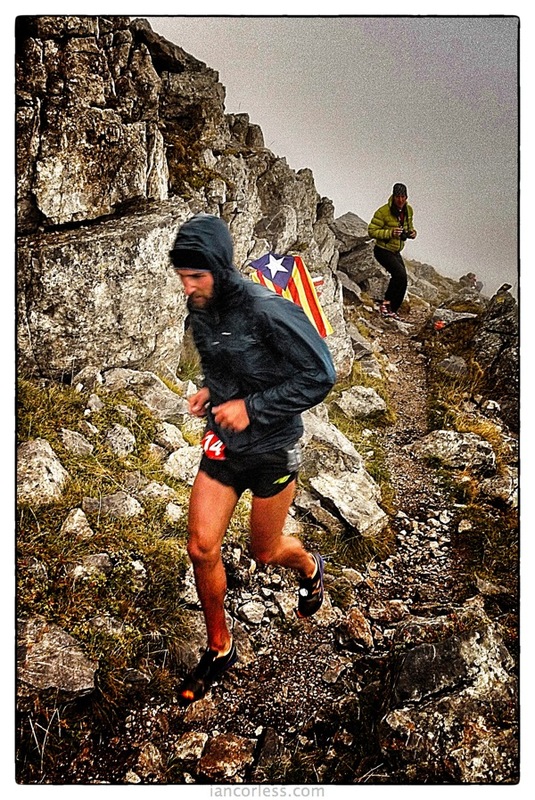 Carlos Sa placed 4th at UTMB in 2012 and earlier this year won Badwater 135. I witnessed him run at close quarters at the Marathon des Sables where he consistently performed well and eventually finished 7th overall. UTMB is a very different race and with strong competition from ‘mountain men’, Carlos will need a great day to make the top three. Finally, my last contender is Gary Robbins from Canada. He had time away from the sport after having some horrendous injuries that almost stopped his career. With patience and rehabilitation he came back to his nemesis, Hurt 100 and not only won, but also set a course record. 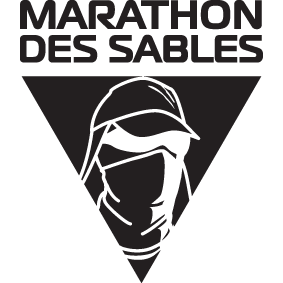 He has experience of UTMB and finished outside the top fifty last year, so why pick him as a possible contender? He knows what it is about now and to be honest, a full course is probably much more preferable than a short course for Gary. Also, he placed 4th at UTMF earlier this year behind Hara, Chorier and Chaigneau… that’s good company to be running with! Yoshikazu Hara was the surprise winner of the 2013 UTMF putting Julien Chorier and Sebastien Chaigneau in 2nd and 3rd respectively. He is coming to this years race prepared and may well cause a few shocks! Francois Faivre trainer of the French cross-country ski team from the Jura region, was recovering from some health issues at the start of the season. After signing up for the cancelled Maxi Race and after withdrawing from the Lavaredo Ultra Trail, François felt he lost some form. He finished 9th in 2011 and 7th in 2012! 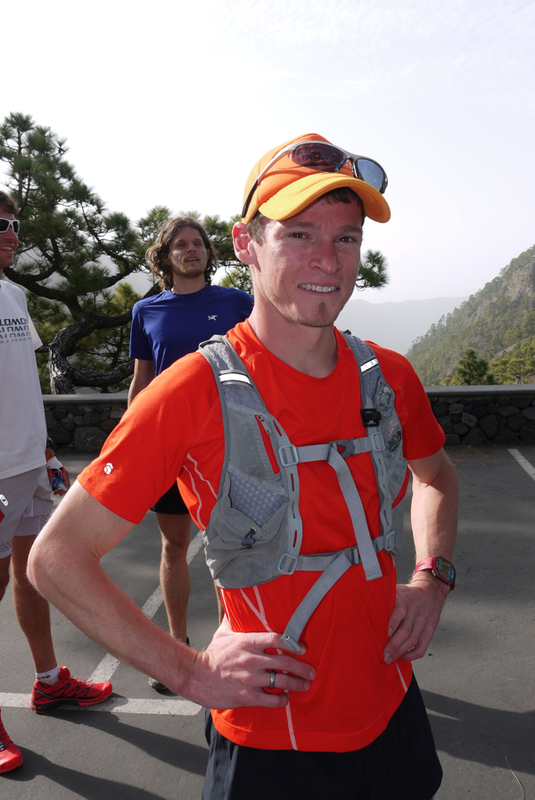 UTMB without doubt is his main goal for the season. 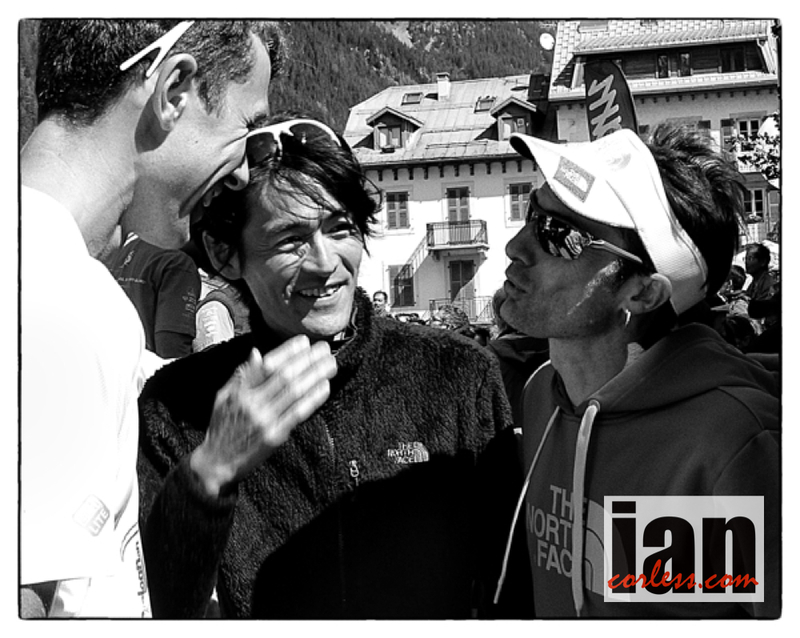 Tsuyoshi Kaburaki is extremely experienced at UTMB and has placed from 3rd to 11th in five outings. 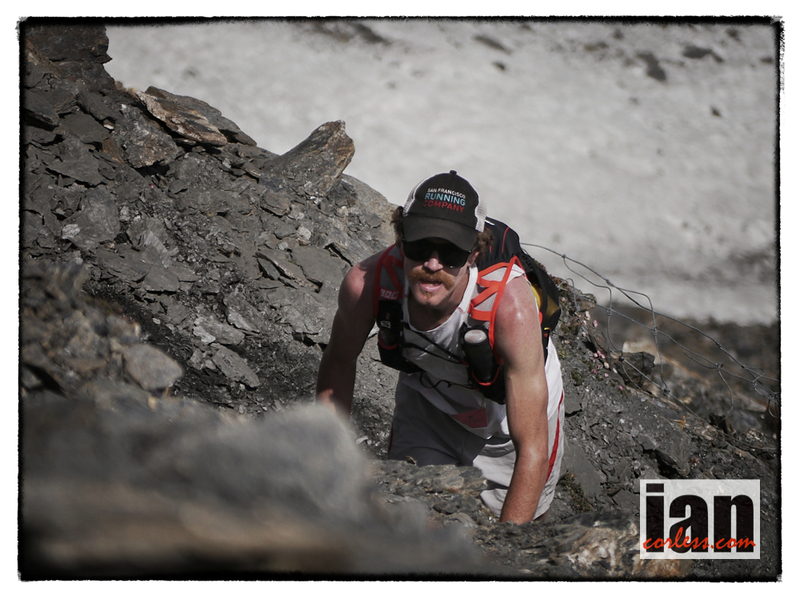 This year he won Bighorn 100 with some incredible running in the latter stages of the race. The jury is out on 2013 and I will update with more info as and when I have it on Thursday. Jean-Yves Rey was 6th last year and is very much a dark horse. In his early 40’s he has had some impressive results over the years, 3rd at the iconic Sierre-Zinal in 2000, winner of the CCC in 2009 but recently he started the Eiger Trail and did not finish, so, his form is unknown. 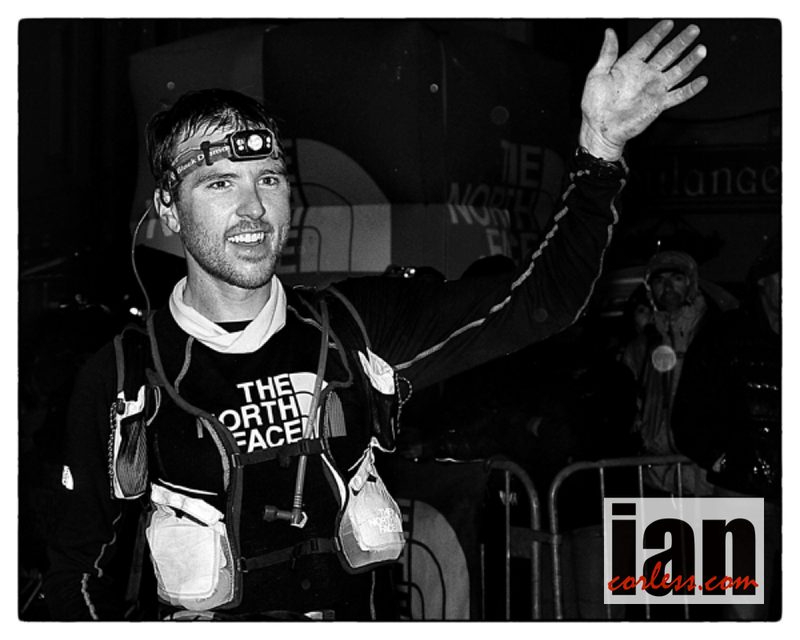 Finally, Arnaud Lejeune is in his early 30’s placed 8th at UTMB and 3rd at Raid de la Reunion in 2012. He also had a string of top results with wins in; Faverges Trail, Trail de Savoyards, Trail Glieres, Quecha Trail Fiz, Verdon canyon Challenge and the Guyan Trail at 186km long. A resident of Annecy, he has access to the UTMB terrain on a regular basis and this is a distinct advantage. However, 2013 seems to have been very quiet. He may be a surprise! Sebastien Buffard 10th at UTMB and then of course we have Marco Olmo won UTMB at the age of 59yrs and in doing so became a legend. He most certainly won’t win this year but he deserves a mention. Vincent Delabarre, Siu-Keung Tsang, Jason Loutitt, Gustavo Reyes, Armando Jorge Teixeira, Zigor Iturrieta, Giuliano Cavallo, Minehiro Yokoyama, Vajin Armstrong, Paul Giblin, Adam Perry and Terry Conway. The TNF UTMB has gained a reputation as being one of the most iconic 100-mile races in the world. With over 2,000 participants, I will have missed several contenders who will create a stir and surprise us. Do you know who they may be? Who is your prediction for the race? Who will have the greatest improvement? Brendan Davies – what’s next? IC: Brendan, it is great to catch up with you once again. IC: The last time we spoke you had aspirations for racing in Europe and a calendar that would fulfill your bucket list. 2013 is looking great… you must be happy. BD: Absolutely. I have some great races planned. 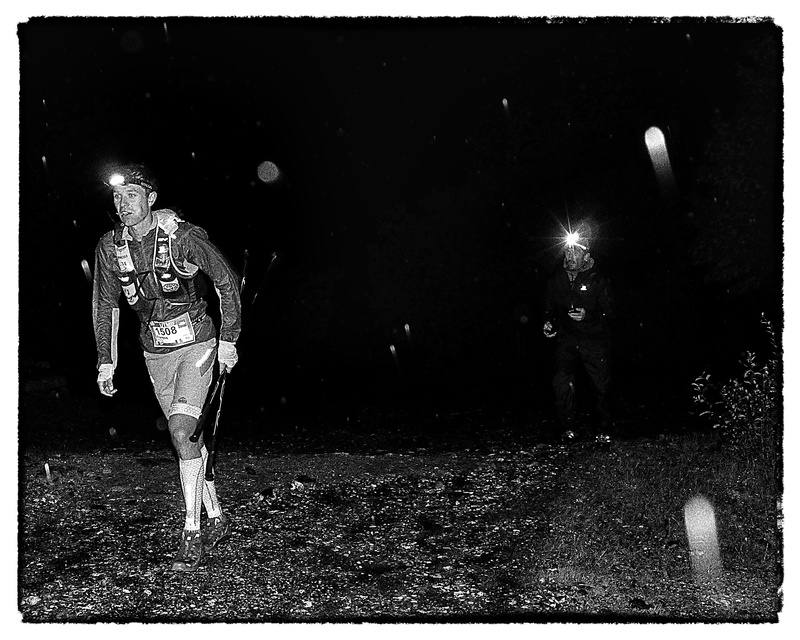 I have raced at Tarawera, UTMF and now TNF100. 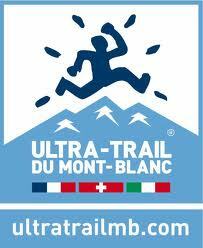 I go to Europe in June for Mont Blanc marathon and I hope to do UTMB. 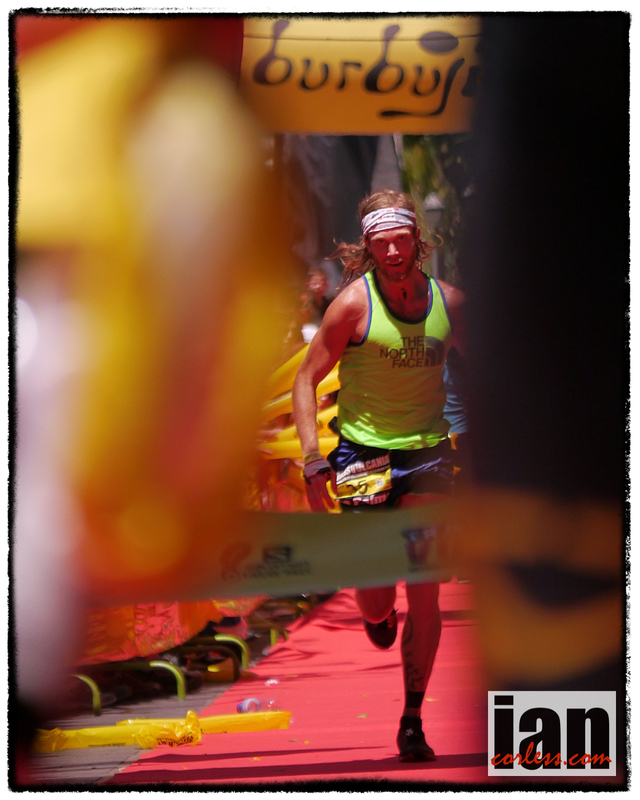 IC: That would be awesome; UTMF was quite a race and a new experience. You had a great race in 5th place but I guess very different to racing in Australia? BD: Definitely, the amount of elevation and the length of the climbs is just something else. You can’t get that in Australia. We don’t have the high mountain ranges. Our mountains are hills in world standards. We have hills not long climbs. I was certainly tested on the long climbs… what I found is that European men can go uphill so much quicker. They had a better technique. Something I really need to work on. I was slower on the climbs. IC: I guess from your perspective when you train at home in NSW (New South Wales) you always run. I know that may sound stupid but if you train in the high mountains you have no option, particularly around Chamonix; it just isn’t possible to run everything. You must become efficient at hiking and walking. I guess you are going to work on that? BD: Absolutely, that is probably the most important thing I learnt at UTMF. If I had the opportunity to race at UTMF again that is the thing I would really work on. I made the mistake of not doing enough research but I never anticipated the walking aspect. It is something I am now going to work on and I will find tough climbs and I will work and work to get stronger for the European races. IC: What is it like racing in Japan; I would imagine the Japanese are passionate? BD: Oh yes, they love the running. We had Japanese men in the field and the crowd really got behind them. Great organization and the RD put loads of effort into making everyone feel welcome. The race itself was very difficult. 9000m+ of elevation but I thought it may have been runnable… it definitely wasn’t. It was scrambling and rock climbing in sections. Massive climbs that gave you no opportunity for a rhythm. Thankfully road sections between climbs kept me in the race. Early on I was in 3rd place and then on the first big climb the European men such as Seb Chaigneau and Julien Chorier just pulled away. They cleaned me up on the climb. The race fluctuated for me. I finally settled into 5th place and I held that. IC: I presume weather was an important factor. Japan at this time of the year must be chilly. BD: It was nice during the day. The locals said how lucky we had been to get sunshine. However at night it dropped below zero. At the highest point of the course it was very cold. IC: The experience at the finish, they had a local winner so I guess that must have been fantastic for the locals, however, for you it must have been emotional. This was a big race and big learning curve. BD: I was absolutely over the moon. I can’t explain the emotions. It was just such an epic and brutal event. When I saw the finish I took my pack off, threw it in the air and high fived the crowd. It was such a relief. I was overcome by emotion. It was such a tough event. I used every trick in the book to get to the finish. My body and mid were absolutely smashed at the end… I had given it everything! IC: Nice to hear that even the elite have to fight hard and dig deep to reach the finish line. What was your lowest point? BD: I don’t think I really had a low point in the race. My nutrition and hydration went really well. I was happy. If I had a low point it was probably the last leg. It had the most brutal climb I have ever done in my life. This beat everything and I am including rock climbing. I had to scramble, it was muddy, it was so tough and it went on and on. At the top it went on for 7km and switched back on itself repeatedly. It was just incredibly tough. My quads were smashed to oblivion. IC: How was your recovery post UTMF? BD: I had some rest and I had some massage. Everything post UTMF was all about getting ready for the TNF 100. It is Australia’s biggest race. IC: TNF 100, what an incredible race eh? Not only did you win it but also you set a new CR! BD: I feel pretty good today; I think it is all just sinking in. It has hit me what I achieved. I never expected it, a real bonus to set the new CR too. Actually I had no idea of my time in the race. It was only when I finished that I found out the time. I knew I was having a strong race because I know that course and I was running sections that sometimes I walk, so, I knew it was going to be good. IC: What do you put it down too? You have been super motivated this year. In our previous chats you have said what you would like to do and achieve. Everything is now falling into place with Inov-8, the International Team, a top five at UTMF, do you think that you are in a really good place with your running at the moment? Also, UTMF was only a few weeks ago but you obviously recovered and came back stronger from that experience? BD: I truly believe that everything I have done in the last six years has been building to the performance at the TNF 100. This year in particular I have been so focused about my running and where and what I wanted to achieve. All those little 1% gains and ticking boxes. It is paying off. I have been waiting for a performance like this; I knew it wasn’t far away. Certainly UTMF and TNF were two big races. I was always going to run both and race them. Months ago I treated them like a block of races. I planned a way to recover from UTMF and use it as a way to benefit the TNF 100. I truly believe UTMF prepared me mentally plus having the aerobic capacity to run 100 miles almost made 100km insignificant. Instead of struggling at the back end of the 100km I had a lot more power in the 80-100km section. So, doing 100 miles as most definitely helped. The hills at UTMF were so much harder, the course was tougher and in comparison TNF 100 was easier so it put me in a great place. BD: Absolutely. 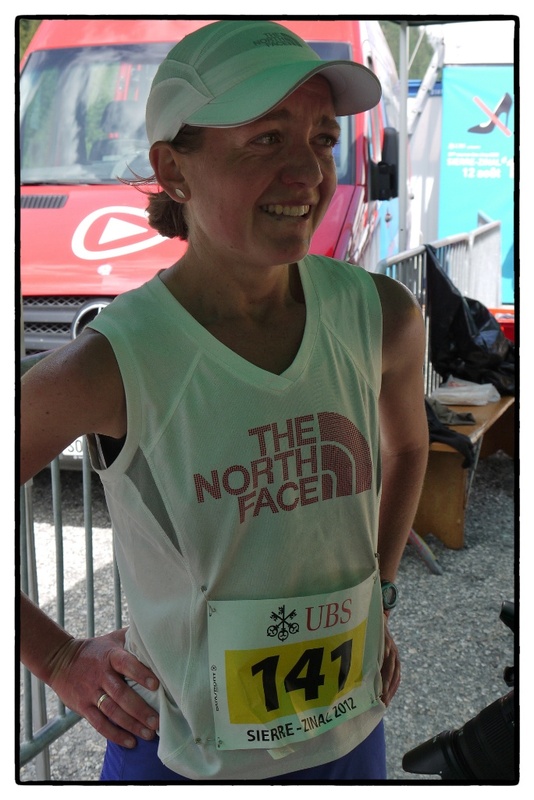 Shona Stephenson and I both said the same thing after UTMF. Of course, you can’t just say that and not have a plan. I went straight into recovery mode post UTMF, I didn’t train much but I kept my race legs by doing a half marathon and a 10k. I thought it was a good plan. Both high intensity races that would keep my race legs. The TNF 100 is the no1 race in Australia. It is what counts. IC: Makes perfect sense. When you have raced 100 miles and then three weeks later you are not going to get any fitter, what you need is recovery and maintaining your top edge. Exactly what you did! BD: Exactly my plan. 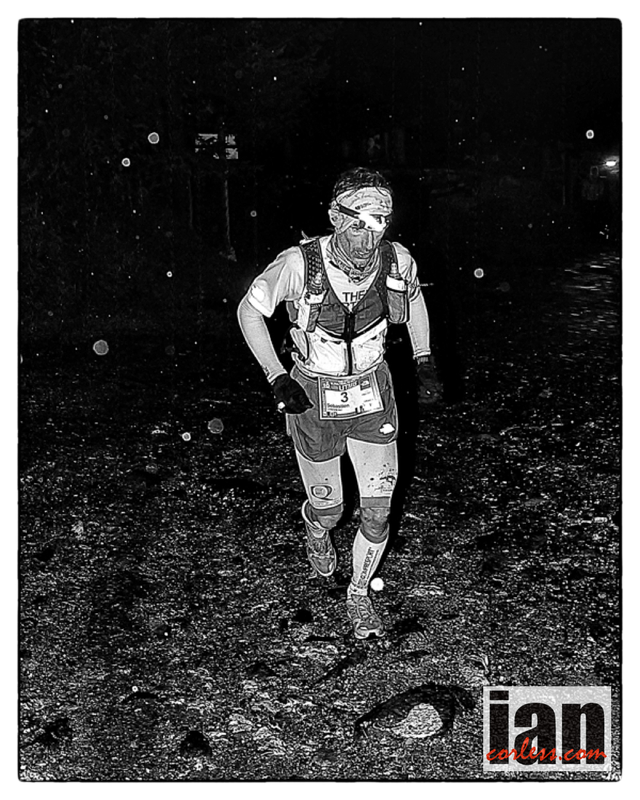 UTMF essentially was my last long, long run for UTMF. I saw that as a positive. IC: Going into the race, Ryan Sandes was without doubt the favorite so what was your thought process when he dropped at CP2? BD: No, no way. I met Ryan last year and he is a great guy. I have always welcomed international guests to our races. I want the sport to grow in Australia and Ryan is a real powerhouse in the sport. I look at it, as he is someone to test myself against. I have been able to run against Kilian and Ryan, I have watched them, studied them and I have emulated what they have done. I have listened and learned and I have got a little bit closer each year. IC: Well you surpassed your expectations this year. It is quite incredible. When Ryan dropped at CP2 that left you out in front dictating the pace is that something you don’t mind? BD: I lead from the front, pretty much from Km 1. You have a little out and back section just after CP2 and it is great as you get to see the competition. I turned and expected to see Ryan. But it was Vajin Armstrong and I had no sign of Ryan so I assumed something must have gone wrong. I didn’t let it affect my performance. I have raced Vajin several times and he has had the better of me, so I respected him as much as Ryan. It kept me motivated to keep going. I didn’t look back; I don’t believe it is a good thing. I needed to keep going and run my own race. Even at the finish I was asking if anyone was on my tail. Running at the front you run scared, you need to be motivated. IC: The Blue Mountains are your home territory; I guess you know these trails like the back of your hand. What’s it like to win and set a CR on home soil? BD: It is so special for me. I was in a race that has a small community. The ultra running community is small. I know so many people in the race, front, middle and back. It was so special to share the moment with so many people. The race is in my back yard. It is very significant. A very special moment to be able to share it. IC: Southern Hemisphere running is going through a renaissance, you, Shona Stephenson, Beth Cardelli, Ruby Muir, Vajin Armstrong amongst others are leading the way. What does the future hold in store for you all? BD: We are going to be more of a force in international big races. 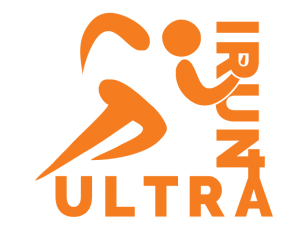 We are going to encourage a new generation of ultra trail runners. I was speaking to people after TNF 100, I spoke to a guy who was 21yrs old who finished seventh, he came up to me and humbled me by saying that I was his inspiration. Many others said this. That touches me and it also signifies how the sport is growing. We are going to get a new breed of runners that are faster, better and more focused than myself. They will lead to the way and it will go from strength to strength. 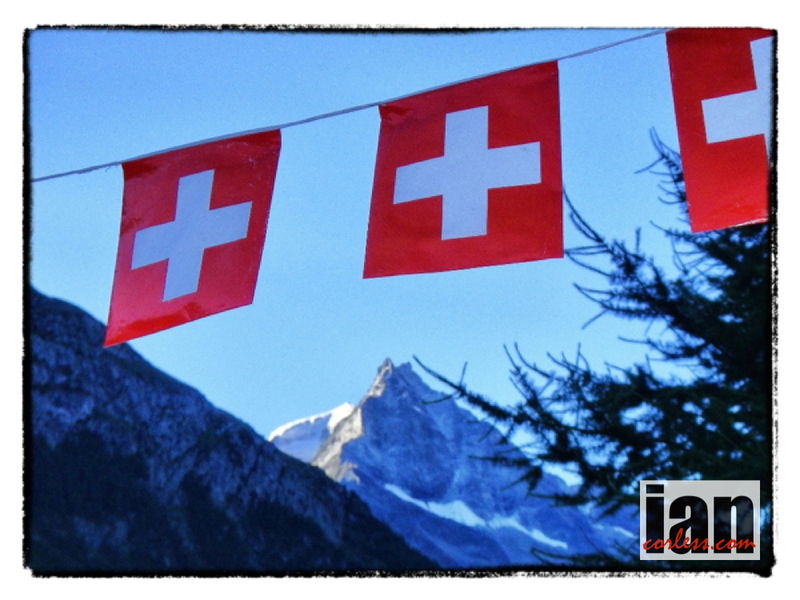 IC: You are in Europe for the Mont Blanc marathon in June. You will be representing Inov-8 as part of the International Team, how excited are you about being part of this team but also running in the Skyrunning calendar. BD: I am honored. 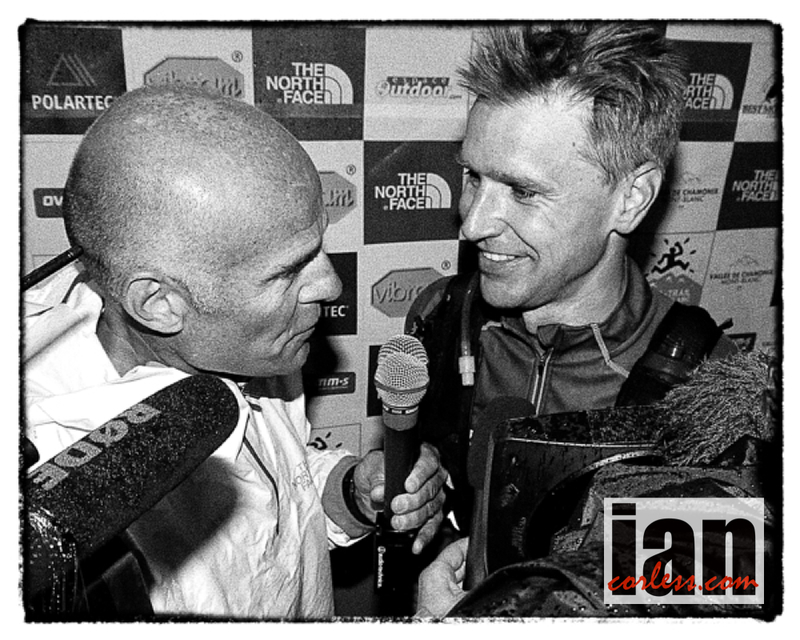 I have always worn inov-8 so when I was asked on to the team it was such a great honor. To be around other international runners will be a great experience. 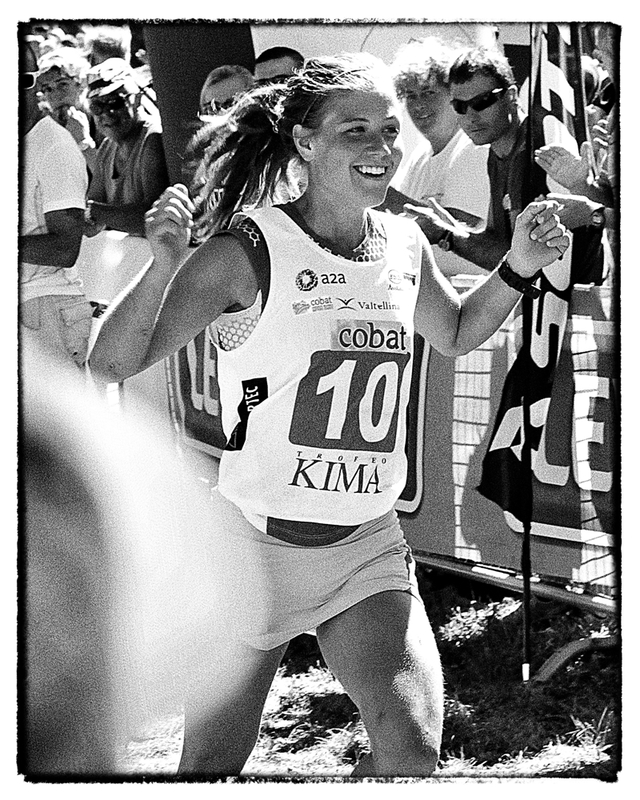 I also think my Inov-8 teammate Shona Stephenson will really prove what a great runner she is when she gets to Europe. She has gone from strength-to-strength. The longer the race the better she goes. I am really excited to see the other athletes too to see what they can do. I will be a great experience. 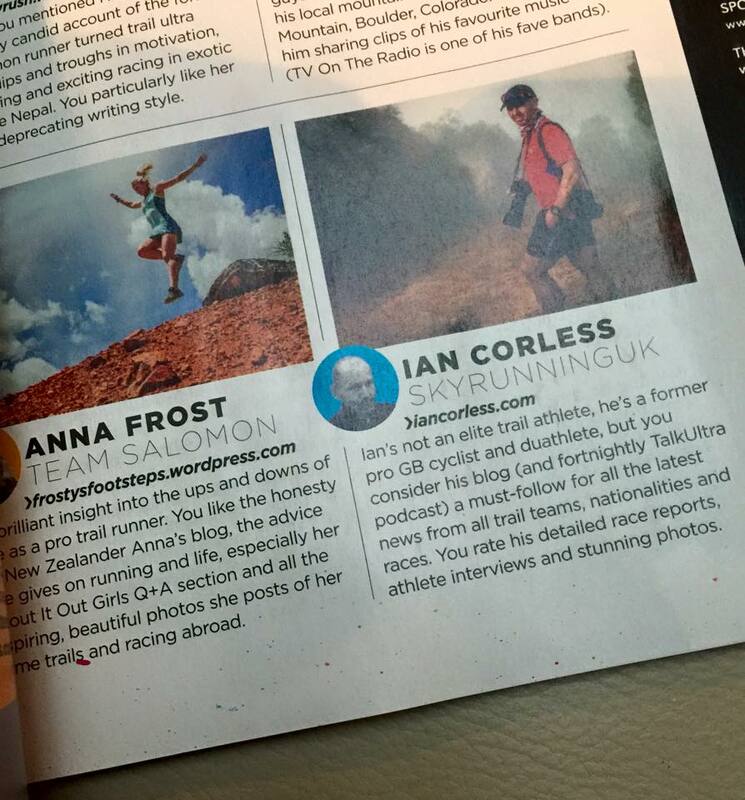 I am just really happy that Inov-8 has backed us. 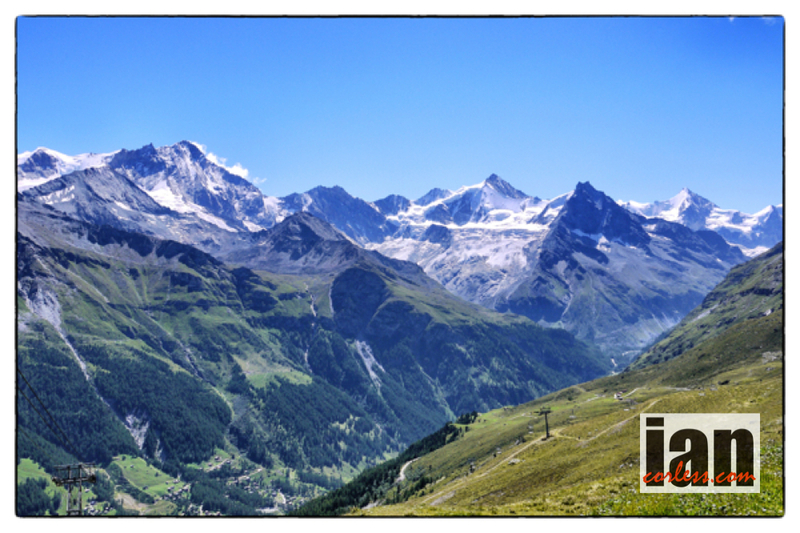 IC: Brilliant, what lies ahead for you post Mont Blanc? BD: Possibly Ice Trail Tarantaise but I am not sure it will fit in my schedule, we shall see. Maybe I will come back to Australia and then I will focus on the road. I want to get my road marathon time under 2:30, I did a 50k in Canberra two weeks before UTMF and I could have gone under 2:30 in that race. 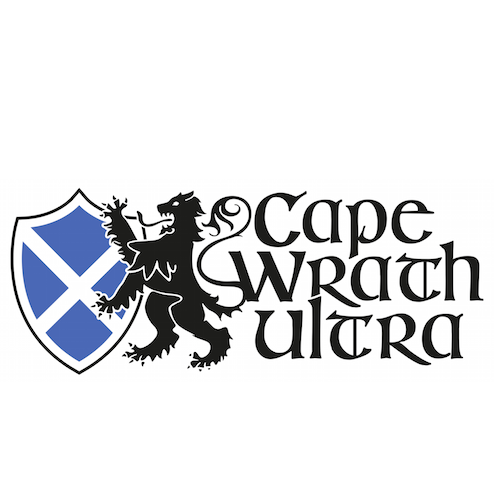 So, that will be on my agenda leading up to the world 100k championships in late October in South Africa. I would like to be in the 6:30’s for 100k. So, the latter half of 2013 will be about road running. IC: Look forward to catching up in Europe. Certainly 2013 is going to be a really exciting year for you. BD: Thanks so much Ian. Locals Vajin Armstrong, Brendan Davies and Mick Donges had spent a summer preparing for what was almost certainly the most high profile race to have been staged in this part of the world. Vajin Armstrong had been doing some crazy mileage in training each week (over 200k) in the build up to the event and was most definitely fired up to take the race to the ‘Yanks’. Fast man Brendan Davies was equally fired up and on paper certainly had the potential to give Sage and Timmy a race. Mick Donges as the 2012 winner of the race had some added pressure on his shoulders but he was in shape. Sage Canaday was coming into this race as a relative newbie. His progression from a 2:16 marathon runner into one of the best ultra runners in the world (up to 100k) is nothing short of miraculous. He showed incredible strength in 2012 with some stunning wins and he showed this form had carried over to 2013 with a great win and course record at Bandera 100k. Timmy Olson on the other hand had most definitely kicked back after Western States and had enjoyed getting married and was relishing the birth of his son. He also started the year at Bandera but raced the 50k. Although winning the event, his time was slower than Sages’ split time for the distance. However post Bandera Timmy had knuckled down and pre Tarawewra had stated he had had some great training and was ‘in shape’. Fast is probably the easiest way to describe it. Brendan Davies set an early pace that almost seemed like suicide. He was either in the shape of his life and was going to teach everyone else in the race a lesson or he was going to crash and burn. Ultimately it turned out to be neither. He most certainly dominated the race over the opening 20km by gaining a 1 minute lead but had to ease back as Sage took over the race and by the 45km mark, Sage was pulling away from a chasing Brendan Davies and Vajin Armstrong with Timmy Olson and Mick Donges following. At 40km Sage had a 6/7 minute lead and he then seemed to turn the after burners on. He just seemed to be getting faster and faster. At half way he had a 12 minute lead and in reality we looked back into the field and had to decide who was likely to take 2nd place. Timmy Olson took over the reins at the front of the chasers and started to move away from Vajin Armstrong. It now seemed that Brendan Davies was paying for that first 20km’s and Mick Donges now in 5th was heard saying “I am saving myself for the final 15km”. Feedback in the latter stages of the race became sporadic due the difficulty with comms. I had been told at one point that Sage had a 20 min lead. I had just posted on Facebook that I expected Sage to finish in approximately 10 min and Bryon Powell from iRunFar tweeted that Sage was in the final 2/3km. But then the shocker…. a following tweet saying Timmy was only 2/3 min behind. Really? Had Timmy closed that gap? Sage held on and crossed the line in 8:53:30 managing to avoid a sprint finish. Timmy really had paced himself perfectly and to be honest, if the race had been a little longer he may very well have taken the win. But hey, the finish line is where it is and he crossed it in 8:56:45. I am still not sure of what the gap between the two front men stretched too but 12 mins or 20 mins, Timmy did a great job of closing down. Vajin Armstrong took the final slot on the podium in 9:39:45 and was followed by Brendan Davies in 9:51:50 and Mick Donges in 9:59:47. In the ladies race pre race favourite Ruby Muir absolutely dominated a small field and led from start to finish. New to the 100km distance she showed experience beyond her years. My pre race prediction that she would be doing some ‘chicking’ while out on the course came to fruision. She crossed the line winning the ladies race in 10:30:07. Her time was fast enough for a 7th overall. Impressive. At the time of writing updates on the remaining ladies have been sporadic but Beth Cardelli a certainly looked likely to be taking a podium slot. We must remember that other races did take place, a 60km and 85km event. Notable interest for these events are the relay pairings of Francois d’Haene and Emelie Forsberg going head-to-head against Rickey Gates and Anna Frost in the 85km. 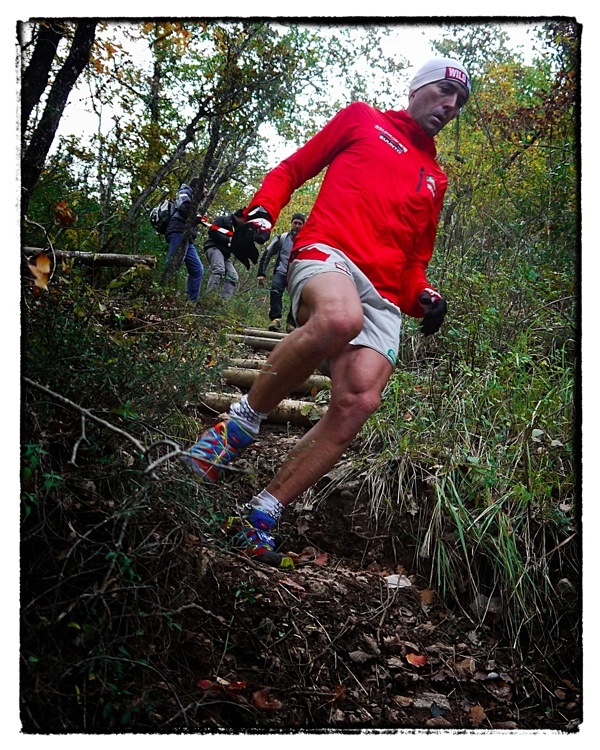 Also, Salomon Team manager, Greg Vollet was racing in the 60km. I shouldn’t say it but I guess I must, I am starting with a negative. After some serious smack down talk just months ago, Anton Krupicka has pulled out of the Tarawera race. This is not breaking news, he actually stated this on his blog a couple of weeks ago but it is sad news for the race and for Anton. However a race will go ahead and the missing Anton just means one less name in a stacked field. The European contingent of Francois d”Haene, Emelie Forsberg, Greg Vollet will not mix it up in the ‘main event’. Francois announced at the press conference that he stepped down to the 80km relay and would partner Emelie Forsberg. That will mean that the Francois/Emelie show will be going head-to-head against Salomon teammates Rickey Gates and Anna Frost. As announced earlier in the week, the main race is now even tougher as the course has had some modifications due to fire risk. You can read the post HERE. Ultimately, particularly in the mens race race it is the Southern Hemisphere against the USA. The USA have three top representatives toeing the line in the land of the Hobbits. Timothy Olson, Jason Schlarb and Sage Canaday. Without doubt, my hot tip is Sage Canaday. Sage throws some freakish speed into the mix. 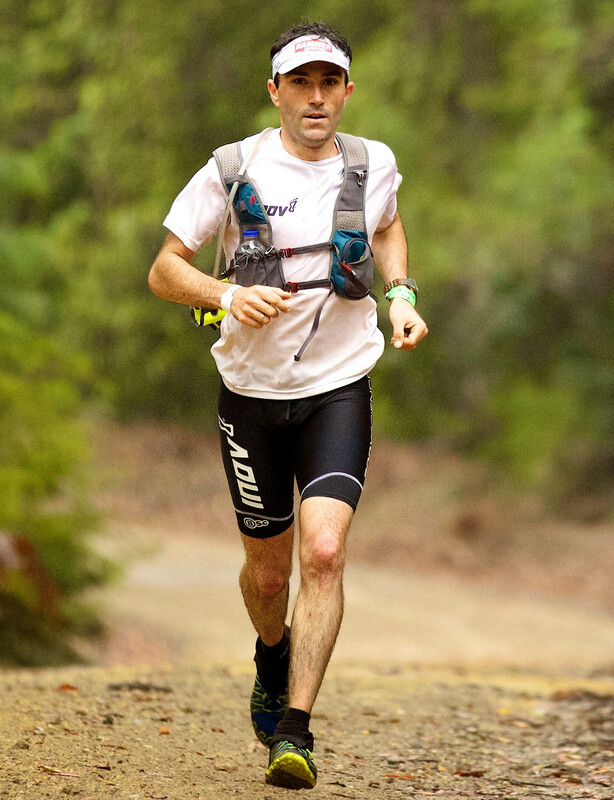 A 2:16 marathoner, he has recently switched to ultra distance racing and became the United States 100km trail champion. He started 2013 by running a stunning course record at Bandera 100k in 8:13:49. His marathon training background and natural speed make him a danger on any course. He may not be used to high mountains but Tarawera will suit him. You can listen to an interview with Sage Canaday on Talk Ultra episode 27. Timothy Olson needs no introduction after his incredible run at Western States in 2012. Married life and the birth of his son saw him take a more relaxed approach to 2012 and he too started 2013 by running at Bandera but in the shorter 50km race. Although he won that race his pace was casual. It was very much a ‘getting into a new year run’. Since then he has put in the miles and has knuckled down and says he is in good shape. 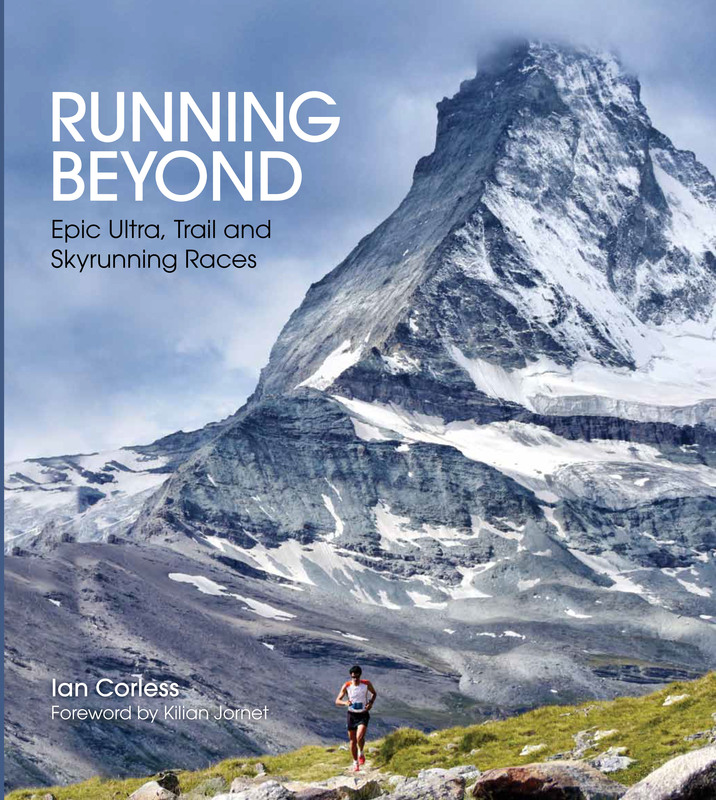 He is without doubt a contender for the podium but I can’t help but think his passions and motivations will be concentrated on Western States and the UTMB. It is still very early in the year for him. In contrast, Jason Schlarb looks ready for this race. He has spent several months in the Southern Hemisphere preparing so he is going to feel relaxed and adapted. Unlike Sage and Timmy who are really only just starting a racing season, Jason is in the thick of it. This will play into his hands. He has the speed to be up a the front and with Sage and Timmy taking the limelight he may just slip under the radar and take many by surprise. With USA contingent covered we now look at the Southern Hemisphere. Vajin Armstrong, Brendan Davies, Mick Donges and Dave Eadie. My tip here would be Brendan Davies. Brendan really is super focused on this event. Like Sage he brings a real speed element to the race and I wouldn’t be surprised to see these two battling at the front for much of the day. I interviewed Brendan for episode 23 Talk Ultra and you can listen to that HERE. Brendan has recently run a 3:16 50k at Stromlo and he is a top 100k runner. Mick Donges comes to this race with some pressure on his shoulders as last years winner. 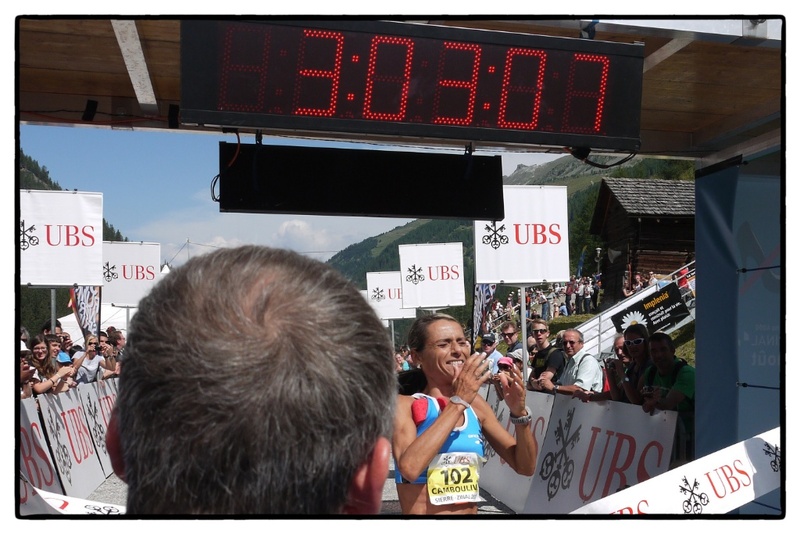 I spent time with Mick in 2012 in and around Sierre Zinal and UTMB. He is certainly a talent and he has the speed to go with it. However, pressure and the big occasion can seem to affect him. They don’t get any bigger that Tarawera this year so how will he hold up? Mick ran the famous six foot track marathon just last weekend (was that a good idea?) in 3:35. Vajin Armstrong wants this race. I actually really think he had focused his mind on taking on Anton after the ‘smack down’ talk months ago and as such has been doing some really heavy training. 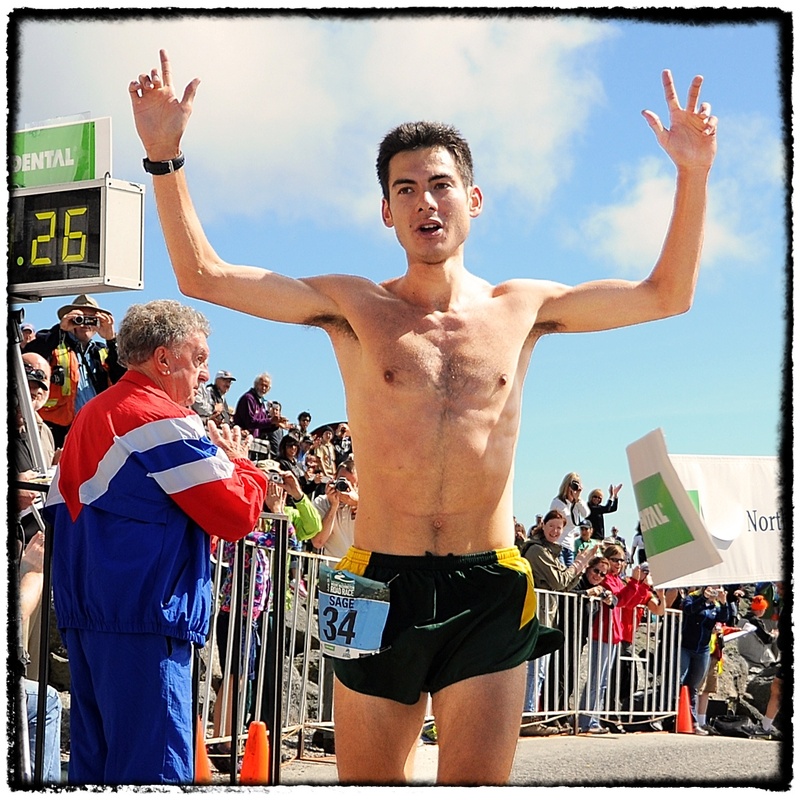 He won the 2012 Kepler Challenge in 4:55:24 and like Brendan he will be pushing for the win or at least, the podium. Finally Dave Eadie is without doubt a quality runner but I don’t think he will be in the mix for the podium. No disrespect for Dave (honestly Dave). 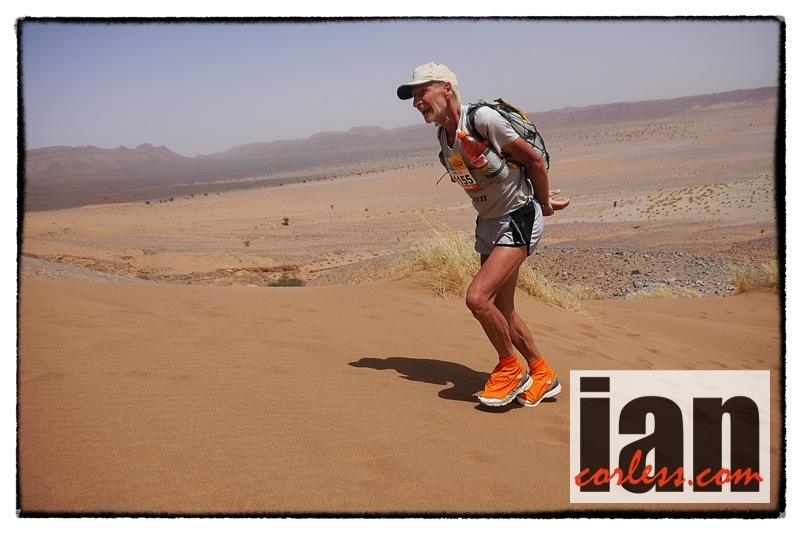 He has done it all… just last year he was at Badwater crushing out those 135 miles in the soaring heat. He has run Western States and has been a multiple 100k champ. He will go out strong and hope he can hold on. Who do I predict? Sage Canaday. To be honest, I think he will run hard and smash it. Lets just hope he doesn’t go off course. I guess with Anna Frost and Emelie Forsberg taking some spice out of the ladies race by running the relay we have four who will fight for the podium. Ruby Muir, Candice Burt, Shona Stephenson and Beth Cardelli. Beth Cardelli won the last eight events she entered in her home country. That is impressive! She was Australia’s ultra athlete of the year but having had some recent injury issues it does look like her emphasis will be on a good consistent run to lay a foundation for racing some of the 2013 Skyrunning calendar. Shona Stephenson, like Cardelli had a really impressive 2012. She has recently won a 50km in Victoria but I don’t see her beating Ruby Muir. Finally, Candice Burt placed 3rd at Hurt 100 and she also had a top 3 placing at the Tahoe Rim Trail. She most certainly has the endurance but does she have the speed. It may very well be that if Beth Cardelli really is not in perfect form that Candice can take that 3rd podium slot or maybe even the 2nd if she has a great day. Who do I predict? Ruby Muir. She is new to the 100k distance but I think she will lead this race out and may very well ‘chick’ a few guys in the process. Tararwera is going to be HOT! Extreme fire danger means that New Zealand’s Vibram Tarawera Ultramarathon100 kilometre-long run will be even tougher to complete for the 430-strong field. The event is on this Saturday, March 16 and was scheduled to run from Rotorua to Kawerau in New Zealand’s Bay of Plenty. However, because of a prolonged drought the fire risk is so high the last 40 kilometres of the course is now closed to the event organisers. Instead of finishing on relatively easy forestry roads in Kawerau, the runners will turn-around at the 60km mark of the race – right next to the Tarawera Falls – and run another marathon over rugged, hilly trails. The Tarawera Ultramarathon has a reputation as being relentlessly tough – but achievable – even for a first-time ultra runner. For those who may get chewed-up on race day, the Tarawera Ultra has shorter options with an 85km and an 60km distance. 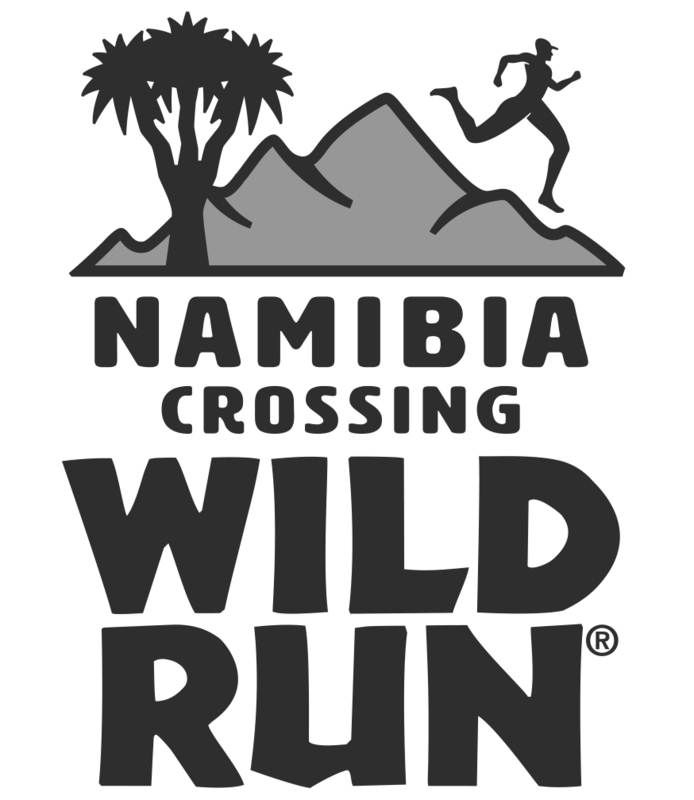 Both will be run on many of the same trails as the 100 kilometre distance. For the runners, the last minute curve ball throws in some new challenges. With more of the route being covered by rocks, roots and hills, runners will need to conserve more energy for later in the race. The winner of the 100km event is expected to finish in a little over eight and a half hours. The final finisher is expected home just before midnight. Many of the world’s best off road distance runners will be racing Tarawera. For the European and North American favourites, this is their first clash of 2013. The world’s ultra running media are keen to see how they fare against the best from down under, including top runners from Australia. Armstrong has been running an astonishing 250km per week to prepare for the race, while Muir has continued her habit of winning every race she’s entered. Many of the Northern hemisphere athletes have already arrived to get acclimatised to the heat and to course conditions. France’s Francois D’Haene, a professional athlete from the European-based Salomon Racing Team, has been training in the South Island, getting acclimated to the roots and rocks of New Zealand trails. 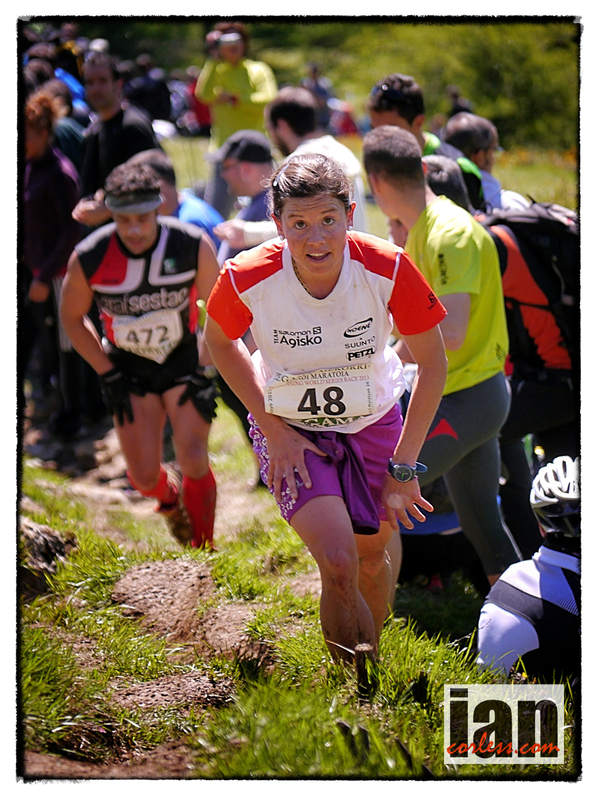 In 2012, D’Haene won the coveted Ultra Trail Mont Blanc title in his home country, with over 2000 runners in the field. For Race Director, Charteris, it’s been a hectic few days re-arranging the course. There’s an army of dedicated volunteers putting on long hours to make sure the race come off smoothly. An added complication is that large sections of the race are now only accessible by boat. “I’m trying to figure out a way to transport about 20 volunteers and about quarter of a million calories worth of food across Lake Tarawera,” he says. Rotorua is renowned for hosting a number of international sporting events. In 2006 the UCI Mountain Bike & Trials World Championship were in Rotorua and the Single Speed World Champs were held in the Whakarewarewa Forest in 2010. On race day, running shoes will replace wheels on many of the same trails. It’s a ridiculously long-distance running race on some of the most beautiful trails in New Zealand’s North Island. 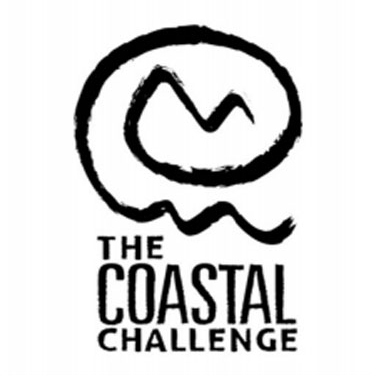 One of the world’s toughest endurance running races, it’s the brainchild of Paul Charteris. The Rotorua event organiser launched ‘the Tarawera’ 5 years ago and for many of the world’s best off-road distance runners, it has quickly become a ‘must-do’. Muir is expected to receive stiff competition from Dunedin’s Anna Frost, widely regarded as the top female trail runner in the world last year. Frost’s Salomon Racing teammates, Emelie Forsberg from Sweden and Candice Burt from the United States will also be on the start line, along with Australia’s Beth Cardelli. 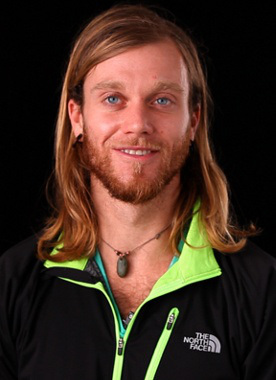 Mick Donges from Katoomba Australia is back to defend his 2012 Tarawera title against Christchurch’s Vajin Armstrong. The Kiwi finished second over the 100km distance the past two years and is keen to go one better. Colorado-based runner Anton Krupicka, who ran a relay leg at Tarawera last year, has already fired a warning shot, posting online that he’s coming back to New Zealand for the win. Other top runners to watch will be Brendan Davies, Australia’s ultra runner of the year and Timothy Olson, Jason Schlarb, Rickey Gates and Sage Canaday from the United States. France’s Francios D’haene and Greg Vollet lead the European contingent. D’haene won the coveted Ultra Trail Mont Blanc title in his home country, with over 2000 runners in the field. Canaday throws some freakish speed into the mix. A 2:16 marathoner, he has recently switched to ultra distance racing and became the United States 100km trail champion just last week. You can listen to an interview with Sage Canaday on Talk Ultra episode 27. In 2006 the UCI Mountain Bike & Trials World Championship were in Rotorua and the Single Speed World Champs were held in the Whakarewarewa Forest in 2010. “A beautiful environment and superb athletes – it really is a recipe for a fabulous day of racing,” enthuses Charteris.